Do you have an interesting Classic Car or Bike? 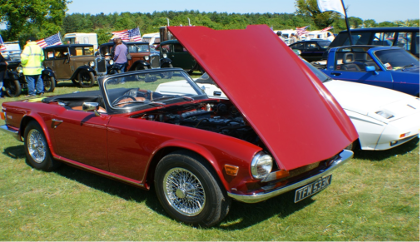 If so, then dust it off and bring it along to the Classic Vehicle Show to be held at Hurst Show & Country Fayre. It doesn't matter if your vehicle is a Mini or a Ferrari; a Vespa or a Harley; as long as it is insured and road legal we would like to see it. Come for one or both days! All interested in displaying their 'Pride & Joy' should register interest with Philip Payne or via the website. Please indicate which day(s) you wish to attend. Admittance will be via pre-registration and show pass only. Hurry! Spaces are limited. Exhibitors will be required to be on site by 10am and not leave before 4pm on the day. There will be free entrance to the Country Fayre for the vehicle driver and one passenger. Plus a bottle of Bubbly and Plaque for the best vehicle in the show as voted for by the public on the day.